Amazing Races throughout Canberra for your teams to explore, experience challenges, checkpoints, completing team building activities and team training exercises as corporate events for Private companies, Government Departments and Defence forces. Or just for fun challenges for hens and social celebration groups of 16 or more. 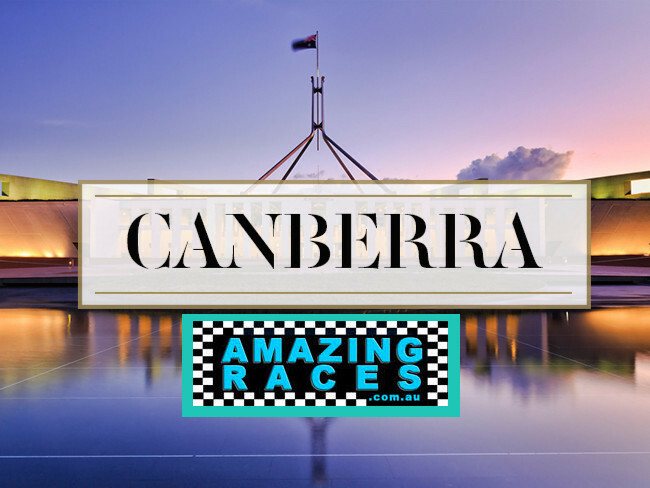 Canberra Amazing Races are exciting and engaging events conducted by a professional Amazing Race team of staff who love challenging people to succeed and reach their full potential! Get your team out of the office and bonding on great End Of Financial Year and Christmas Events. Amazing Races design and deliver an exceptionally fun experience for corporate and social groups. Enjoy a sneak preview here. Based on the CBS AMAZING RACE hit television show. Our events are customised to suit all venues and locations across the city of Canberra. Designed to effectively improve your group’s communication skills, develop team camaraderie and increase interpersonal relationships. Whilst having great fun competing against other staff to reveal true winners. Capital Hill, Mt Ainslie, Australian War Memorial, Belconnen, EPIC Park, Floriade, Lake Burley Griffin Foreshore & Carillion. We visit the National Museum of Australia NMA, National Gallery of Australia NGA and even test your science nerdy skills at Questacon. For intrigue step into the National Film & Sound Archive. Run, cycle, climb or drive up to Black Mountain Tower. Explore the Botanic Gardens pet the animals at our National Zoo and dive into the Aquarium if you dare. We custom build and design your corporate or social Canberra Amazing Race specific to your preferred Canberra locations. 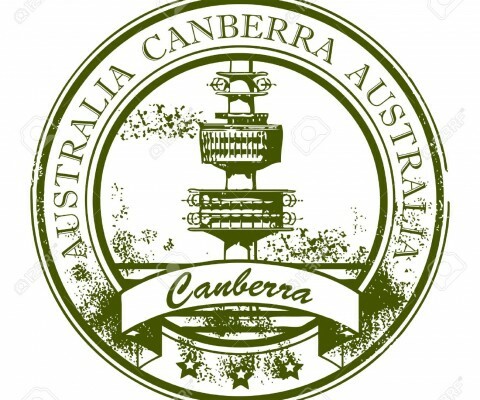 Right across the city of Canberra out to Adventure Parks, The Arboretum, Botanic Gardens, Golf Courses. Or to the Brindabella’s and Mt Stromlo for some cycling and mountain biking. We match your interests, skills, timing, weather and cultural considerations. All transport & travel arrangements are made by AmazingRaces or integrated with your special requirements. Strive to arrive first at “Challenge Task Locations” and “Pitstops” to win the coveted Canberra Amazing Race Trophy. Planes, trucks, bicycles, taxi cabs, sports cars, trams, trains, buses, boats, ferry, kayak, helicopters, dragon boats, yachts, sky dives, segways. Scooters, motor bikes, roller blades, skate boards, horses, chariots, rafts, rickshaws, zip line flying foxes. Ultra lights, glider, stunt aerobatic planes, golf buggies, quad bikes, ice skates or by foot. Amazing Race challenges are designed to bring you the best flavours, sights and unique activities that the city, region or urban area offers. Incorporating wonderful local venues, foods, activities and culture. * An incredible fun 5 package selection. * The excitement of looking at Canberra in a fresh light. * Get started with an X factor ignition challenge! * Experienced and professional fun activities staff at team activity challenge checkpoints. * Wet weather ponchos and wet weather back up plans. Ask us for a free quote and get free offers. Call us 02 9630 2222 Australia wide events and activities. We look forward to working with you. In developing and supplying a terrific Custom built Canberra amazing race activity. Tell us more about the client group and timings so we can create the right itinerary and location to experience. We can make this program stunningly unique and have the group follow an amazing race path through Canberra’s best attractions and complete amazing activities that reveal the essence of Canberra! From The Flag of Nations through to Cycling Lake Burley Griffin or heading to locations like Parliament House and The Questacon, to discover the science that is fascinating in our Nations Capital and museums, galleries or art centers. Looking for ways to have your team experience more fun whilst learning? Our team is employed to run Survivor, Adventures, Minute 2 Win it Games, Flash Mobs, Treasure Hunts and Office Activities. Any style of team building activity you can think of www.THRILL.com.au will design and deliver. From corporate family picnic days to major carnival events or evening corporate entertainment for conferences with a difference. Amazing races crew know Canberra like the back of their hands. Keen cyclists and mountain bikers they have the trails, locations, beers, wine and food and yes the best locations all mapped out ready for your team to discover. Ideal for team building activities, Conference breaks or just to explore Canberra’s iconic features from National Botanic Gardens to Art Galleries and Museums or around Lake Burley Griffen.